But, what do I mean by “unmodified headlight housings”? I mean that this upgrade bulb works great without requiring projectors, cutting the housing, or any other modifications. 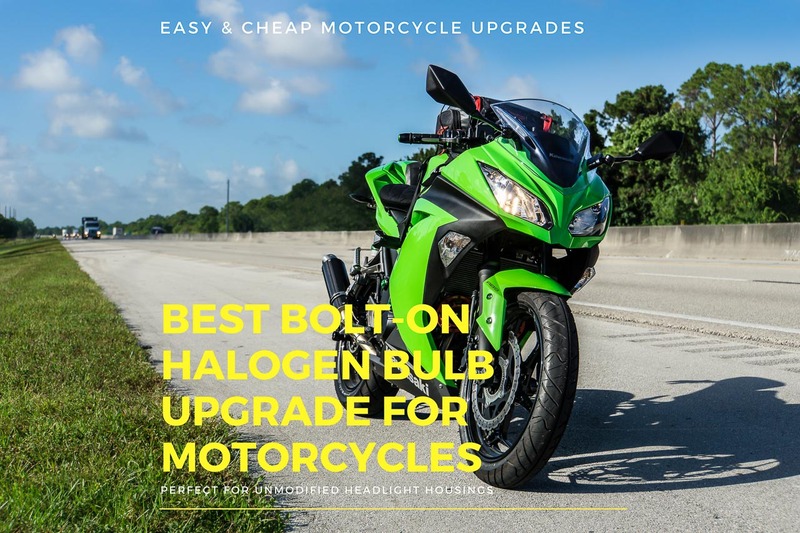 These bulbs just pop right in, with minimum motorbike downtime. Opening up your headlight housing to install a projector retrofit kit for HIDs is always going to give you the best light. But it is not easy, cheap or quick to do. That’s why the best bulb for an unmodified headlight housing is simply a better halogen bulb. As far as what’s available on the market, there are plenty of listings for HID kits, LED bulbs, upgraded halogens and the like. By far the best option is still the tried and true method of a proper HID install in a projector housing. However, the problem is that it takes a lot of experience and time to do right. 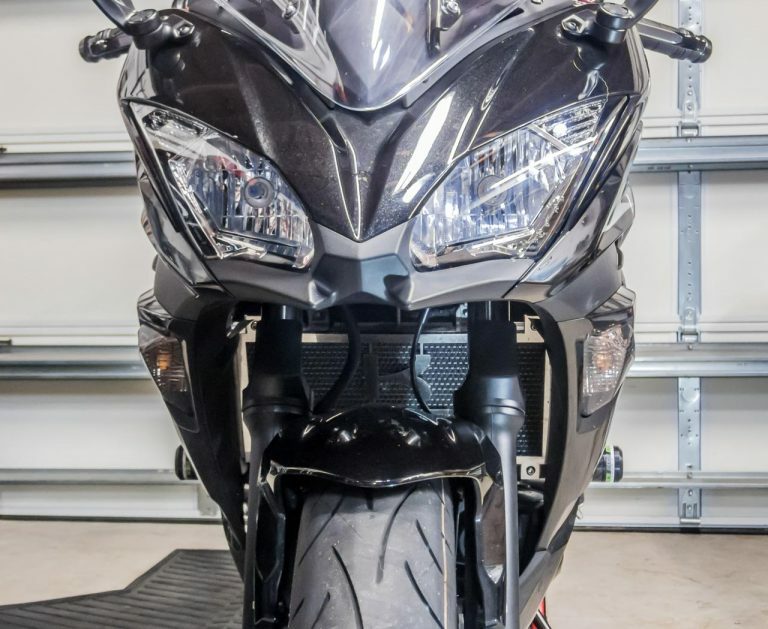 Few motorcycles with halogen bulbs come with a projector-type assembly, which is required for HIDs – don’t let anyone tell you otherwise. 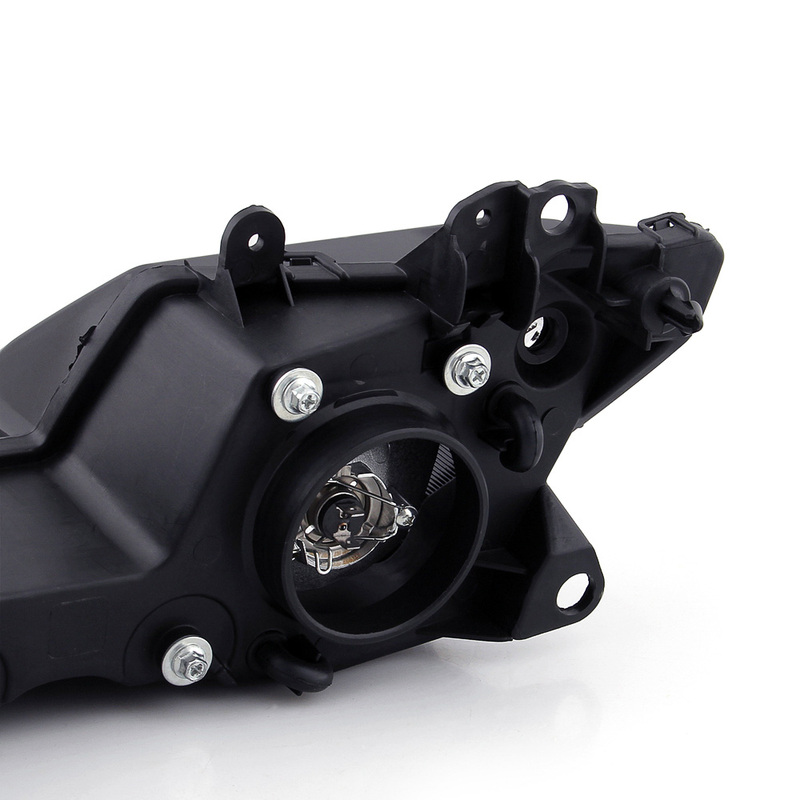 If you try installing one in a reflector housing, the light is extremely dispersed. You will annoy other drivers a lot more than you will improve your visibility. HIDs will rarely if ever be the best bulb for unmodified headlight housings on motorcycles for this reason. 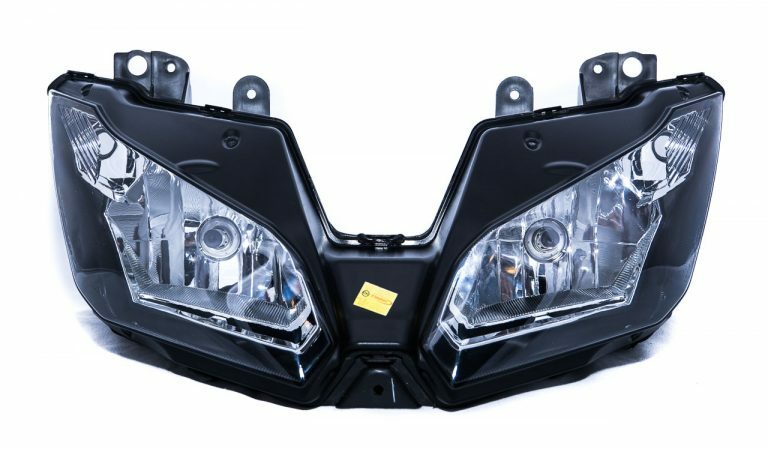 I know many motorcycle riders may feel tempted by the new crop of drop-in LED headlight Upgrade kits. However, the test results for LEDs are still underwhelming at this point in time. Sure, you’ll find plenty of anecdotal claims of awesome results, but they’re rarely backed up by proof. After paying a hundred bucks for LEDs and going through the hassle of installing them, of course someone’s going to say the bulb is much brighter. The alternative would be admitting they wasted their time and money. However, I’m not saying that’s never the case. I’m just saying you can’t take it for granted with most budget, no-name bulbs. Aren’t LEDs supposed to work in motorcycle reflector housings? The thing is, with LEDs, it’s even more confusing in reflector housings than HIDs. Results are all over the place, both for better and worse. If you have proof that that exact LED works great in your exact bike, then awesome. Definitely go with it. But if not, it’s more akin to a gamble than to an upgrade. Unless your bike comes with stock LED reflector headlights, personally I would not recommend “upgrading” to them. Not yet, at least. The reflector is simply not designed for this type of bulb on most motorcycles. And in the odd case you have projectors, you are probably better off installing HIDs anyway. There is very little space behind the bulb of most motorcycle headlights. The large heatsinks that LEDs (currently) require make installing LEDs far from plug-and-play in many cases. And if you still have any doubts remaining, look at the size of the fan or heatsink on the back of just about all LED Headlight Bulbs. Ask yourself if you think that’s going to fit. Depending on the bike and bulb, it might fit, or it might not. But it certainly isn’t as trivial to install as some people would want you to believe. Not to mention having to route the extra wiring for the external LED driver. Or finding somewhere to secure it safely. If LEDs had the same footprint of halogen bulbs, they certainly would be the best bulb for unmodified headlight housings. It’s just that technology isn’t there yet. Instead of going through the hassle and expense of installing HIDs right on my new 2017 Kawasaki Ninja 650, I just went with these Philip bulbs and called it a day. They aren’t HIDs, but I haven’t regretted it. If you want better lighting, but you aren’t willing to drop a hundred bucks on a proper HID projector retrofit kit (which can require over two days labor to install right), your best option – or perhaps least worst option – is to go with upgraded halogen bulbs like the Philips X-treme Vision Halogen bulbs. It will give you better light output, while still maintaining a decent lifespan. What’s more, its whiter color with slightly bluish tints at the edges will help give it that “xenon look”. At least to some degree. This is the option I’ve currently decided to go with for my 2017 Kawasaki Ninja 650 ABS. Installation is truly plug and play. Simply remove the OEM bulb and pop this one in as a direct replacement. No modification whatsoever needed. 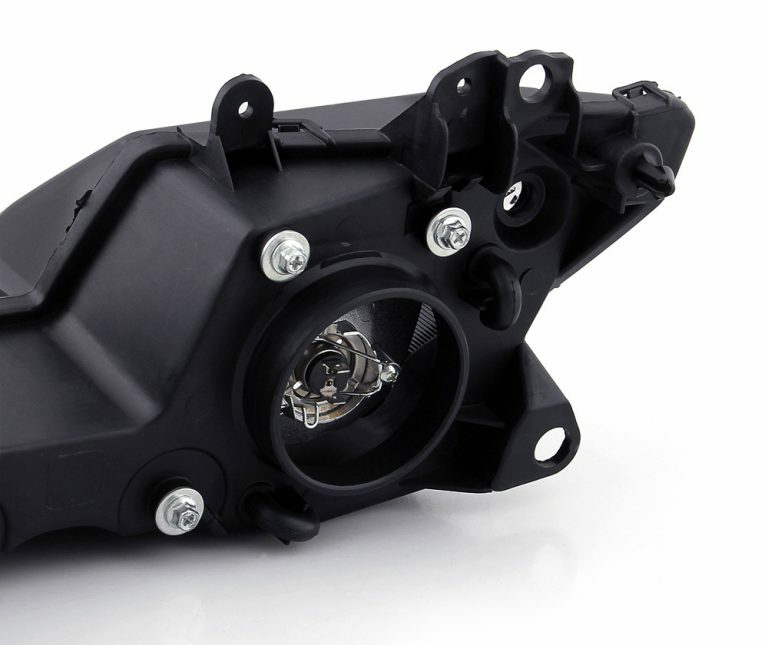 The specific model linked below will work for any motorcycle with a H7 bulb. 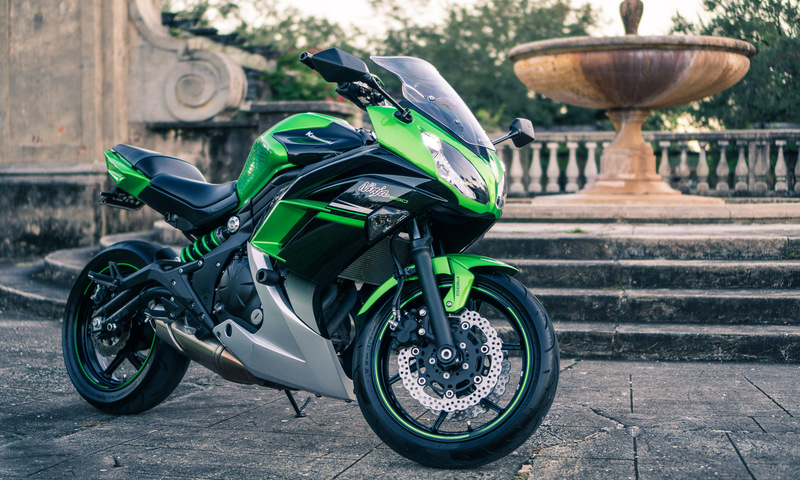 Like the Kawasaki Ninja 300 or Ninja 650. Or any other vehicle, for that matter. H7 is probably the most popular motorcycle bulb size around these days. Size H11 would probably be the second most popular automotive size. But, is it better than HIDs? Will it give the output of an HID kit? No, but it will save you the time and hassle of disassembling your headlight and troubleshooting issues for months to come. They typically have far more failure points than halogens. 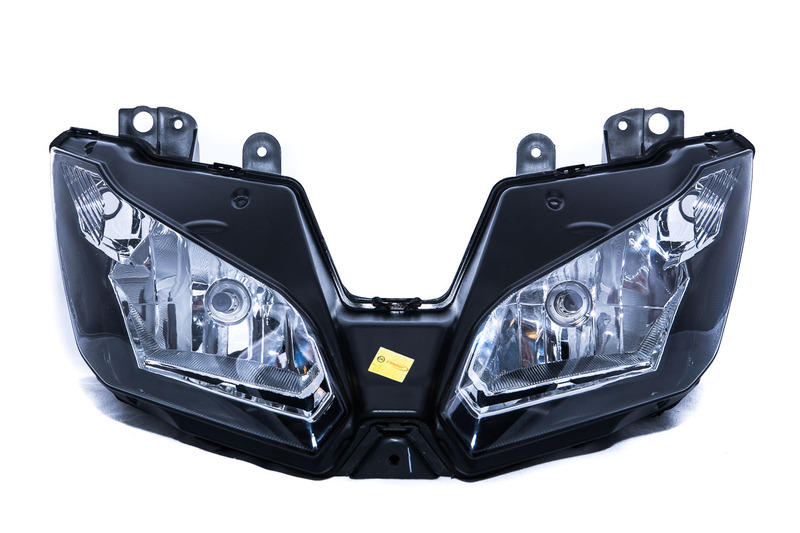 While many of us complain about the lowly output of our headlights, it’s nothing compared to having to take apart the headlight to replace an HID bulb or ballast that went out after only two months. On my old 2015 Kawasaki Ninja 300 I installed a HID Projector retrofit kit only to remove it months later. I went back to a halogen headlight due to all the hassle it was giving me. Someday, I have no doubt that LED bulbs will become the gold standard, but regrettably that day still hasn’t come. If all you want is better light output with a slightly more HID-like tint, I still haven’t found any better option – though I’m always on the lookout for one. 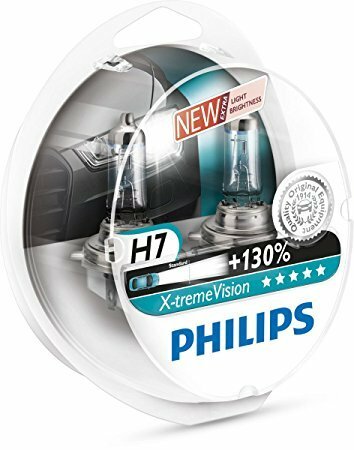 For most modern motorcycles with a H7 Bulb, I still think that the Philips X-treme Vision Upgrade Bulb is the best bulb for unmodified headlight housings. At least as far as direct replacement headlight bulbs go. In my opinion, the best bulb for unmodified headlight housings is the Philips H7 X-tremeVision bulb. If you know of a better bulb for unmodified headlight housings, I’d love to hear about it in the comments below. Especially if there are any tests backing it up. And if you have any more questions regarding compatibility or other models, that would be more than welcome, too. Anyway, thanks for reading! Also, check out the homepage to see what other projects I’ve been up to lately. Here are a few you might find interesting. Next PostNext Best Multi-Colored Electronic Hearing Protection?